Varun is younger son of Electrician (Chavali Veeraiah) working in private sector in Hyderabad. 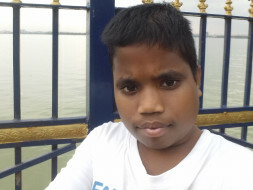 Father of Varun hails from middle class background and is the only person earning in the family.Varun has been fighting aganist Thalassemia by his birth. We are transfusing blood twice a month at Red cross hyderabad. He needs to take medicines which are expencive that too in high doseage to reduce iron which comes along with blood while transfusing and He also need to take medical drug through injuction overnight. Even though we are doing this things there is no guarantee of life. 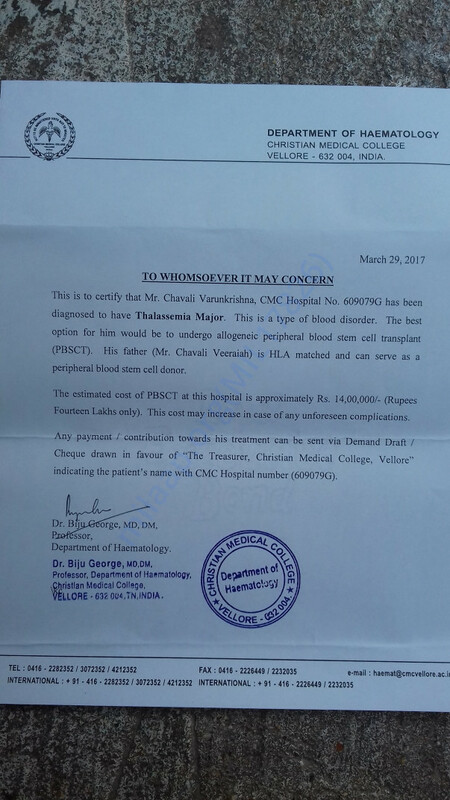 He has been recomended for Allogeneic Peripheral Blood Stem Cell Transplant (PBSCT).